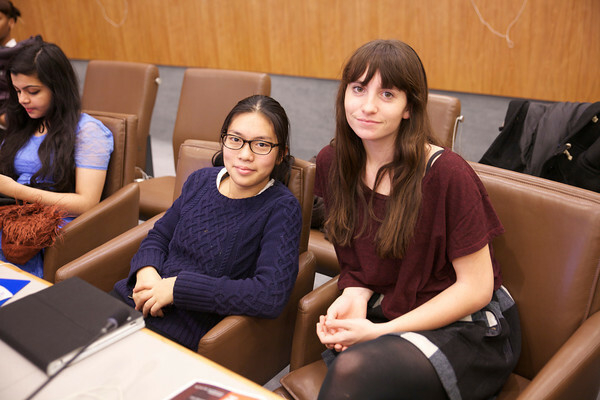 In December a group of Friends students went to The United Nations for a human rights conference. There were students from all over New York, France, Canada, and Mexico. The first day we arrived, we spent all day in a big conference room making presentations on a human rights issue we felt passionate about. Sahana Mehta, Altana Elings Haynie, and I made a presentation on girls’ education. Girls education is a huge issue all over the world. Many countries don’t allow girls to be educated because they have to perform domestic chores. Others pull girls out of school after 5th or 6th grade to get married. I think it’s a really important issue because it is the source of so many other problems besides lack of education and gender equality. In many places, its the reason for early marriage, human trafficking, women not working, child mortality (because a 13 year old girls are not strong enough to give birth), female objectification, and much more. The second and third days we spent at the UN, we split into larger groups of people from other schools. I was with Sahana, Altana, and Cat Bactat. We created a proposal for a way to help girls get educated in The Middle East. We wanted to create a program like Teach for America or Teach for India, where teachers would be sent to countries to teach in girls’ schools. The teachers would be paid by The UN, that way, parents don’t have to worry about spending all their money by sending their daughter to school. We also wanted to have this organization associated with school groups, like Amnesty International. The partner schools would raise money to donate, send supplies and textbooks, and make educational YouTube videos to be shown in the classrooms to teach the students about other cultures. Meeting so many new people and working hard for three days straight was a lot to take in, but I think the pressure and new environment helped us thrive. Your presentation at the United Nations Student Conference on Human Rights was very informative. I was proud of all the Friends students who spoke and the efforts you put into the conference. Besides a great opportunity to hone public speaking skills, the conference also provided a chance to hear from experts in the field who are working daily on human rights issues around the world. I liked how the panels on both the second and third day were able to critique the student-designed campaigns and provide feedback and considerations. I think one of the take-aways from the experience for many of us was the realization of how important it is to form partnerships and collaboration to pull off a successful campaign. I think you would agree that the three days away from school were three full days of learning. 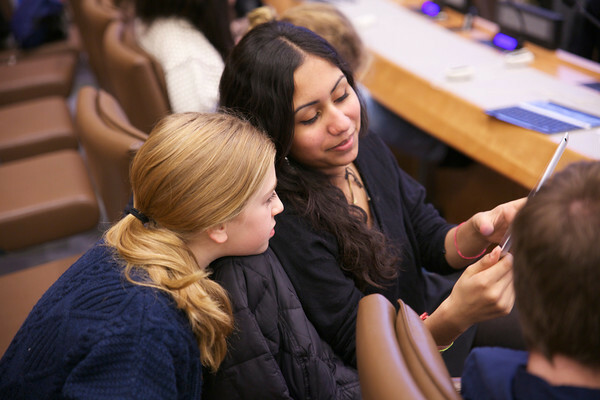 Lily, thank you for this insight into the experience you and other students from Friends had at the UN. Your work on the proposal for girls’ education sounds thoughtful and idealistic but do-able. I appreciate reading everything you had to say about this.